Shipping World Wide from our US and EU warehouses. SOLD OUT in NZ warehouse. 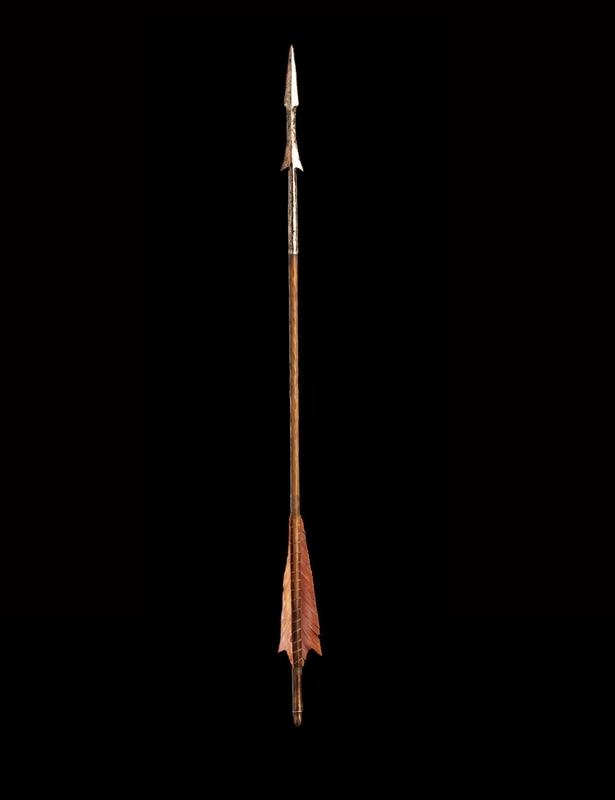 Among the peoples of Middle-earth, none were more gifted with arrow and bow than the Elves. Possessed of eyesight as keen as a hunting falcon, the Sindar Elves of King Thranduil's Realm wielded their bows against the bloated spiders that had scuttled north with the creeping infection of the Necromancer. Leading the Elven hunting parties was Tauriel, favourite of the King and lethal warrior. 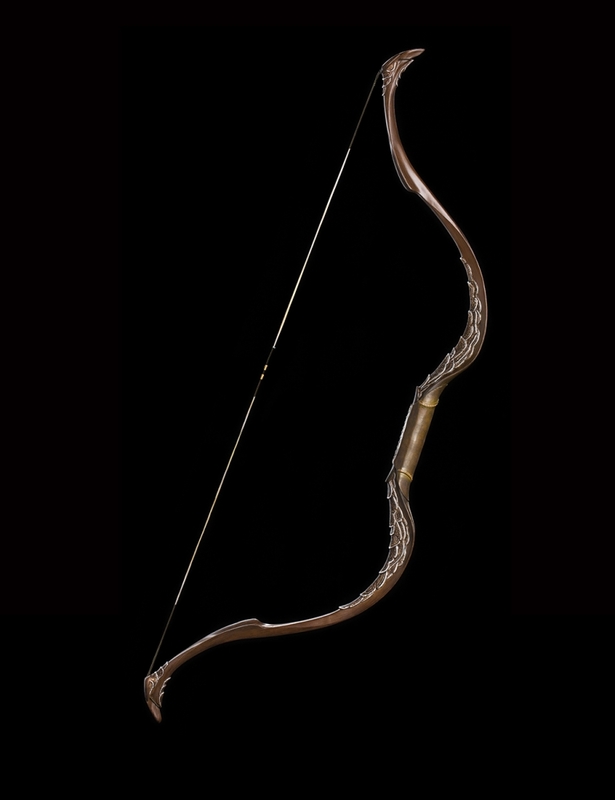 Even among the Elves, Tauriel's prowess was revered and the whispered twang of her short, elegantly curved wooden bow and unerring flight of her barbed arrows were held in dread by the Realm's enemies. 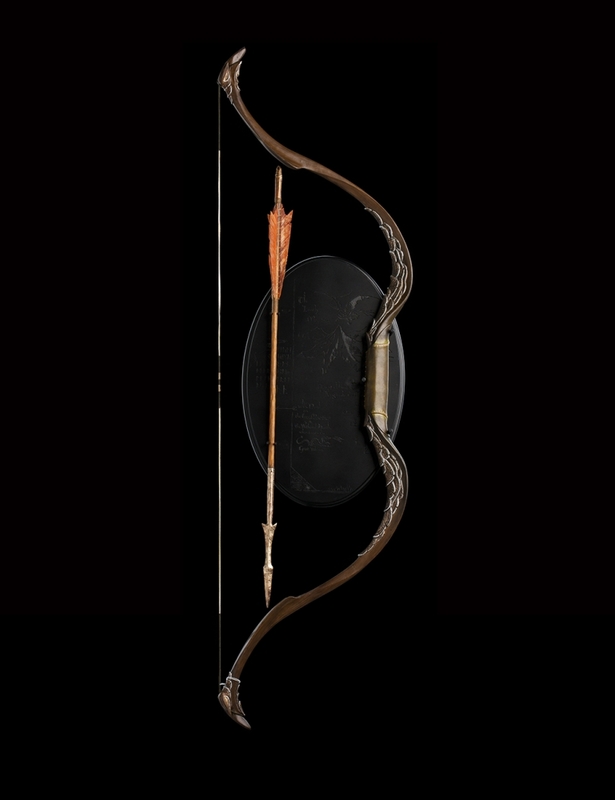 Bow and Arrow of Tauriel comes with a reinforced polystone wall plaque for display, pride of place, on your wall. Please note: this prop replica is made of urethane and is a display piece. It may break if drawn or used as a weapon. Images are of pre-production prototypes. Each set is painted by hand and variations will occur.